Contrary to what the condescending critics and snarky internet trolls would have you believe, this has been a good, bordering on great, movie summer. While there has not been a genre masterpiece such as 2014’s “Dawn of the Planet of the Apes”, the sheer variety of outstanding and entertaining films this summer has been quite impressive. Here are my top five films from the summer of 2016 (as of July 31st anyway). A few of these will undoubtedly end up on my top ten list come year end. I love literate cinema that knows the medium’s history and artfully draws on past movie landmarks and applies them to the modern era with a contemporary flair. “The Neon Demon” takes the exuberance and horror of “Beyond the Valley of the Dolls” (1970, Russ Meyer), the mystery and eroticism of “Mullholland Drive” (2001, Lynch), and the gritty psychopathic obsessions of “The Black Swan” (2010, Aronofsky), and morphs them into a surreal journey for the ultra-high stakes, frigid world of high-end fashion modeling. The electrifying Ella Fanning is simply remarkable. Her ability to display calculating confidence while possessing a core of sweetness and a naked vulnerability is astounding. She has once again proven (as she has since “Super 8” in 2011”) that she is the best actor of her generation. This movie was victimized by some of the most ignorant, misguided, mocking, and just plain lazy reviews of any film in recent years. The critics got this one wrong. I mean, they REALLY got it wrong. 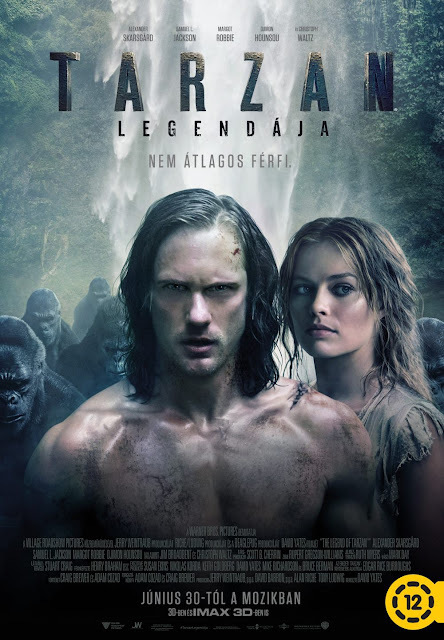 “The Legend of Tarzan” is an exhilarating, emotionally resonant, beautifully paced action adventure that perfectly captures the pulpy, romantic spirit of Edgar Rice Burroughs’s original books and smartly adapts them with a slight post-modern twist for contemporary audiences. This is the Tarzan movie I always dreamed of when I first read the books as a thirteen year-old boy, lured in my the spectacular paperback cover paintings by Boris Vallejo. “The Legend of Tarzan” is a great summer movie that also has a lot to say about human nature, the way humans seek to exploit each other and destroy the environment, and the beautiful pureness of nature and wildlife. 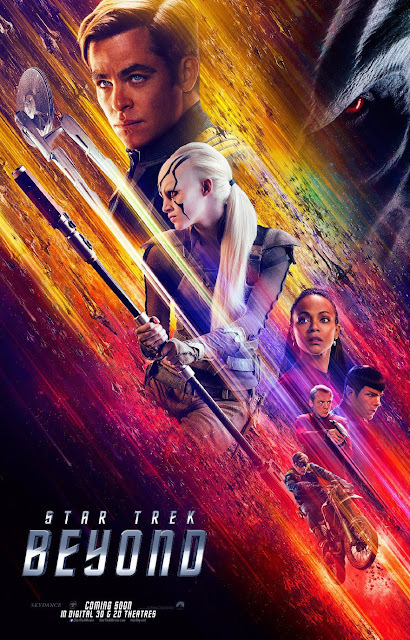 After an outstanding reboot in 2009, and what was more or less (a key and clever phrase of dialogue in “Beyond” btw) a “Wrath of Khan” remake, Justin Lin takes over the director’s chair from J.J. Abrams, and along with screenwriters Simon Pegg and Doug Jung, delivers an exciting new Star Trek adventure. Make no mistake, this is a great Star Trek movie. Yeah, this is one where the critics actually got it right. The creation of Jaylah alone would make this an outstanding entry in the series. A GREAT character! And it is nice to see Trek getting back to its roots, both in terms of social commentary and character interplay. I would love to see more genre films get back to the kind of strong social/political subtext we used to have all the time in SF and horror. It was nice to see this trend return in “Tarzan” and “Star Trek”. The opening scenes of a burned out Captain Kirk reminded me of Captain Pike in the first act of "The Cage". The dialogue between Bones and Spock was so well done, and the best Spock/Bones stuff since "ST: TMP". Another outstanding score by musical maestro Michael Giacchino. The music for the Yorktown space station is an incredible cue! She gave the best performance of the year last year, in the best film of 2015, the criminally underrated “The Age of Adeline”. In “The Shallows” she appears in every scene, commands the screen, and carries the movie in a way that perhaps no actor has done since Tome Hanks in “Cast Away” (2000). The film itself is a shrewdly directed thriller with the raw tension of low budget indie like “Open Water” combined with the slick visuals of a modern “Jaws” spinoff. A wickedly fun film anchored by one of the best leads working in movies today. Like all of the films on this best five list, “Nerve” feels very much like it could have been a movie from summers past. In this case specifically the 90s because “Nerve” is essentially a conceptual update of the Michael Douglas vehicle “The Game” (1997, Fincher), re-imagined for the modern social media obsessed digital age. Emma Roberts is fantastic, giving a real spark plug of a performance, and has great chemistry with co-star David Franco. Featuring a super cool soundtrack and stylish direction, “Nerve” is a blast.